This article contributes to the theoretical and methodological discussion on textual-contextual analysis in political communication and media research. It argues that taking into consideration both text and context throughout an analysis of the process of production enables the observation of the relation between the social and the linguistic. It opens up a non-deterministic perspective for the analysis of the above relation. The article rests upon an empirical study on the production of discourses for the campaign of European Parliament elections. 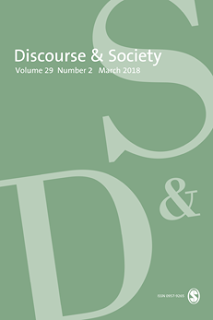 The use of such a multilevel approach adds important elements to the research findings, particularly in terms of showing on the one hand how power relations within ‘Europarties’ results in the construction of common European identities in different European Union (EU) states, and on the other hand howprofessionalization of political communication reinforces discursive dissimilarities between parties of the same ideological family in different EU states.